The eternal God is your dwelling place. Underneath are the everlasting arms. God is our eternal refuge. Just think of that for a moment. There will never be a time in all eternity where you will ever be unprotected. 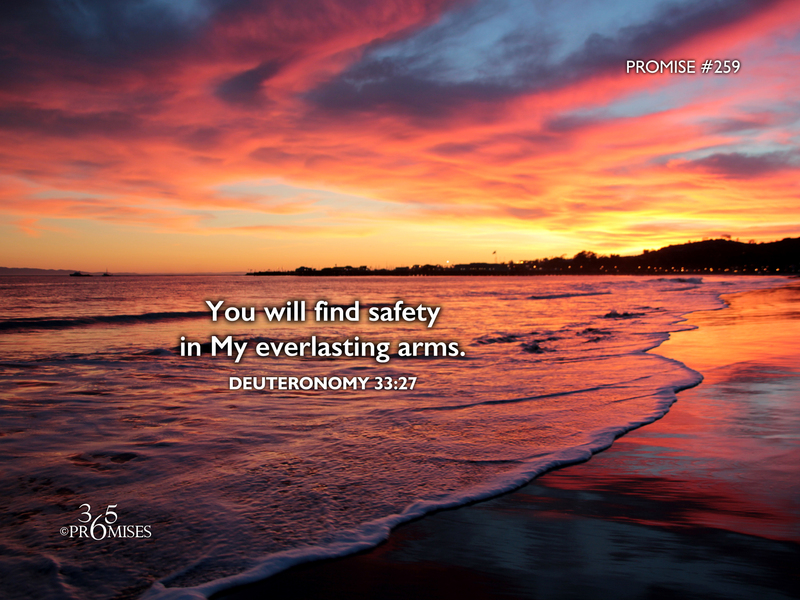 You can feel safe and secure knowing that your God and Father will carry you in His everlasting arms forever! When our children were little, I absolutely loved holding them in my arms. It felt so good and I think my children enjoyed the safety and security of that feeling too. If as fathers, we were meant to be a foreshadow of the true Father, then I would imagine that God would feel the same sense of satisfaction and contentment when He is holding us in His big strong arms. In Psalm 27:1, David declares ... The LORD is my light and my salvation— whom shall I fear? (NIV). The reason David wasn't afraid of his enemies was because he was completely aware that He was being protected by the everlasting arms of God Himself. May we all be encouraged today of this tangible reality. We will find safety in the everlasting arms of our Papa!